This is one of the strongest hasps on the market and at nearly 3kg it really is substaintial! Squire have called it a PadBar but in essence it is still a hasp and staple. It is made from Cast Iron rather than steel, making it especially resistant to cutting and saws. 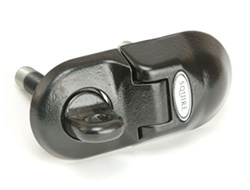 They call it a CEN 6 Hasp but technically CEN standards only apply to padlocks. However, you can make an equivalent comparison in strength and as such Squire have regarded this as CEN6. However, please note the diameter of the staple is only 12.5mm so all CEN 5 and 6 padlocks on the market will not fit this hasp. 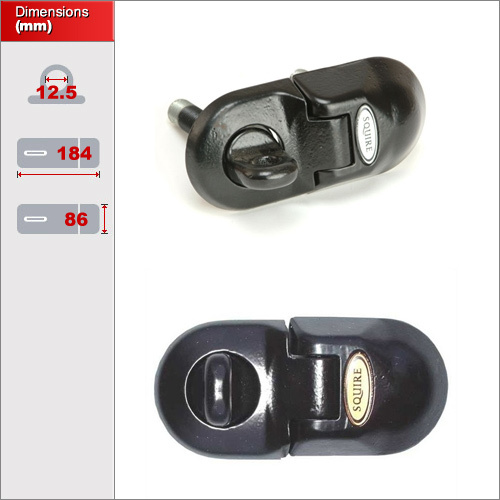 If you need one with a large fitment which would be suitable for CEN5 and 6 locks that use a 14mm thick shackle, then please see the ABUS 125 and the Squire LB2.